The flecks in this picture – yeah, that’s snow! 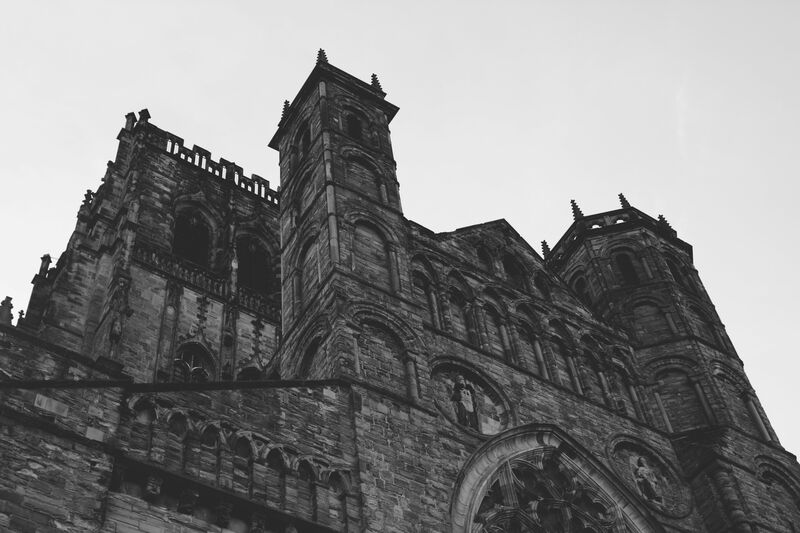 I visited Durham Cathedral, which was absolutely amazing! 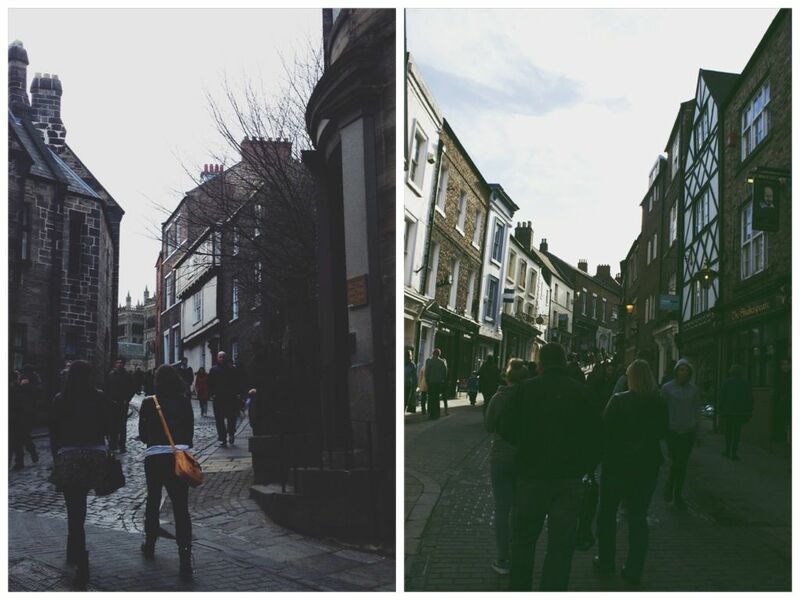 As both a history nerd and a Harry Potter fan, I loved the place. 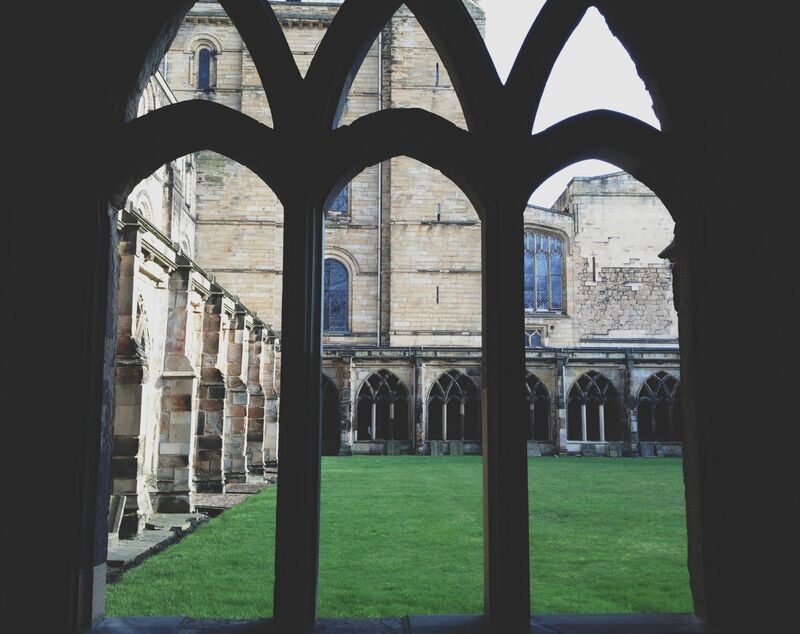 The history buff in me geeked out over the fact that I was, you know, strolling through a gorgeous Norman cathedral built in 1093. 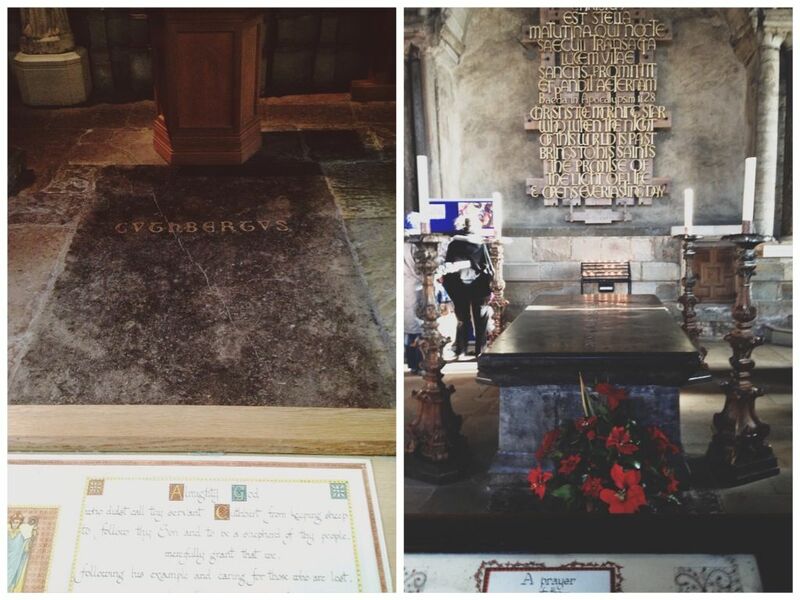 Two major historical figures, which I studied last semester, were buried in the cathedral – St. Cuthbert and Bede – so it was pretty cool to see those! 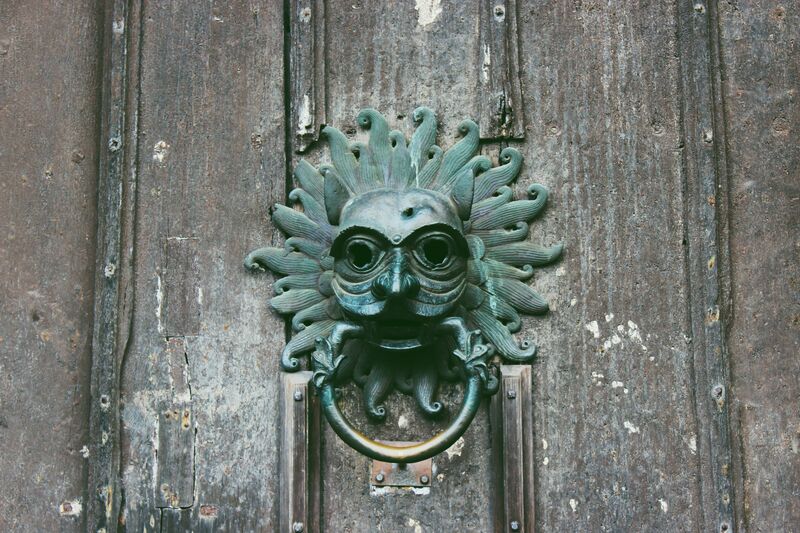 The door to the cathedral. 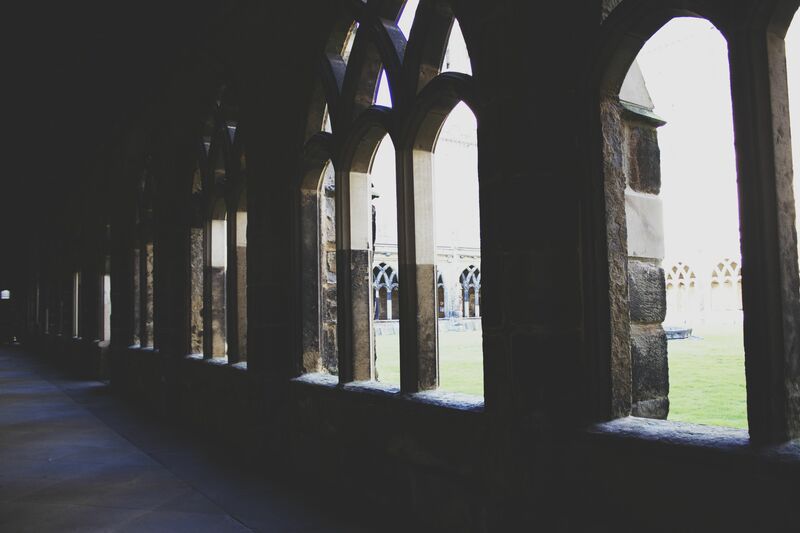 The Harry Potter fan in me nerded out over the cloisters. 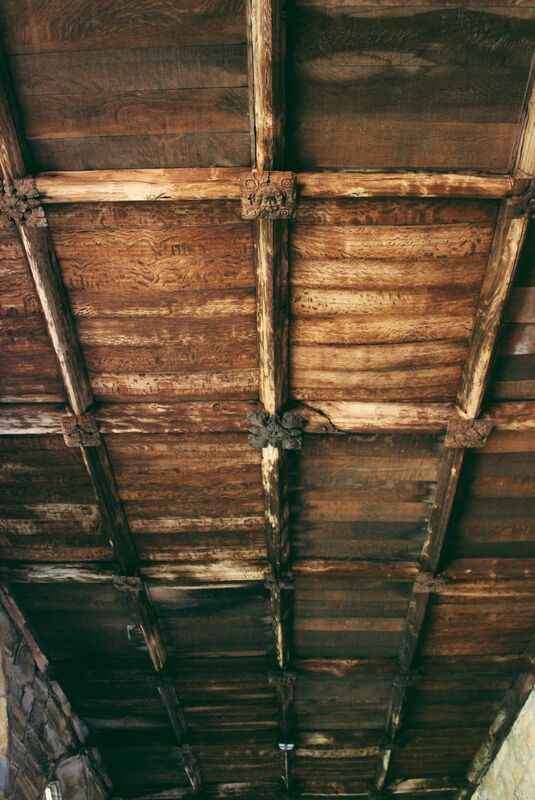 This served as the courtyard at Hogwarts in the first two Harry Potter films! 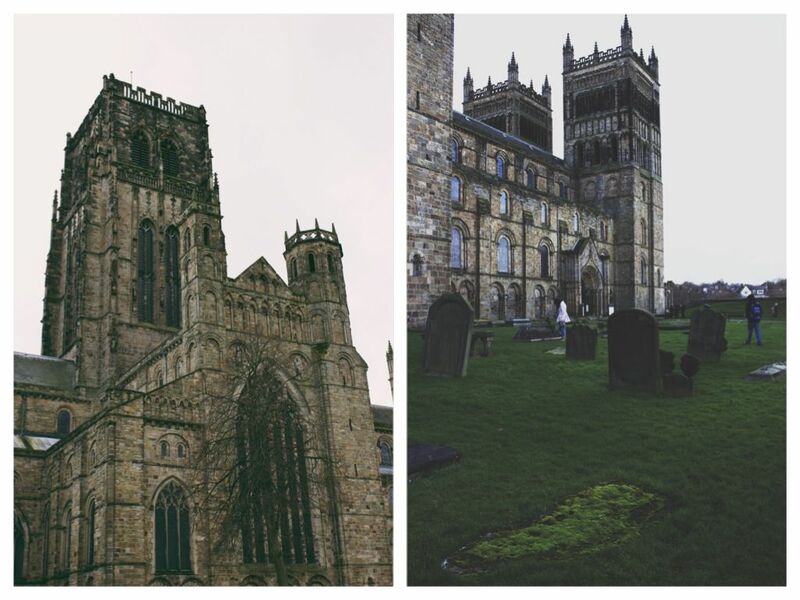 So not only did I get to visit a cathedral, I also got to visit the wizarding school of my childhood dreams. 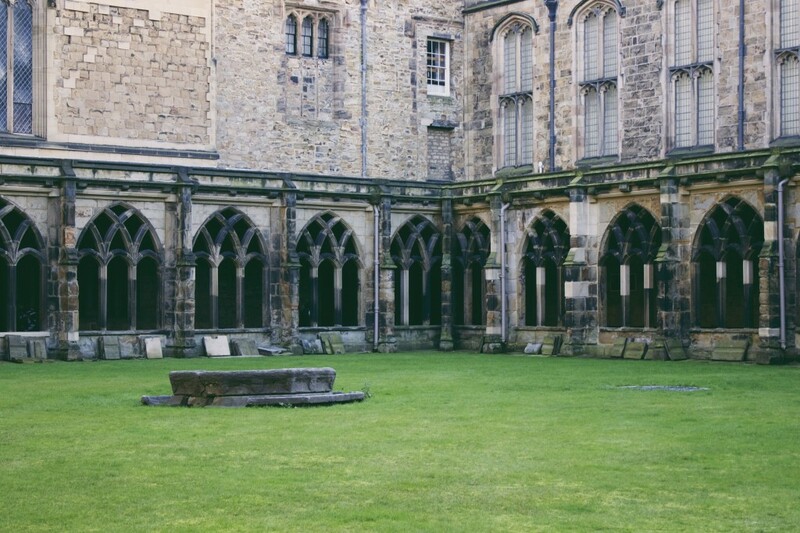 This screen cap and the one above it show scenes from Harry Potter and The Sorcerer’s Stone which were filmed at the Durham cloisters. While we were able to see the castle from the outside, my friends and I were not able to get tickets to tour the inside. 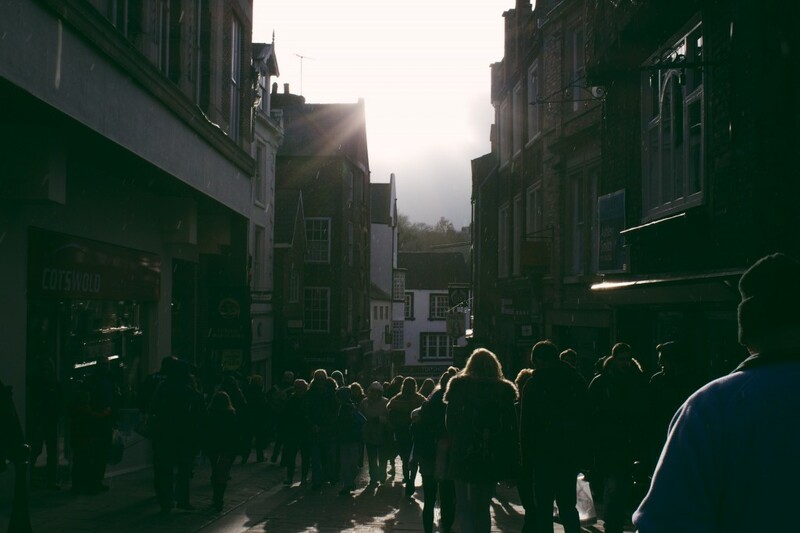 Instead we strolled through the streets and shops in the city. Could not get over how cute this city was! British people are so cute.